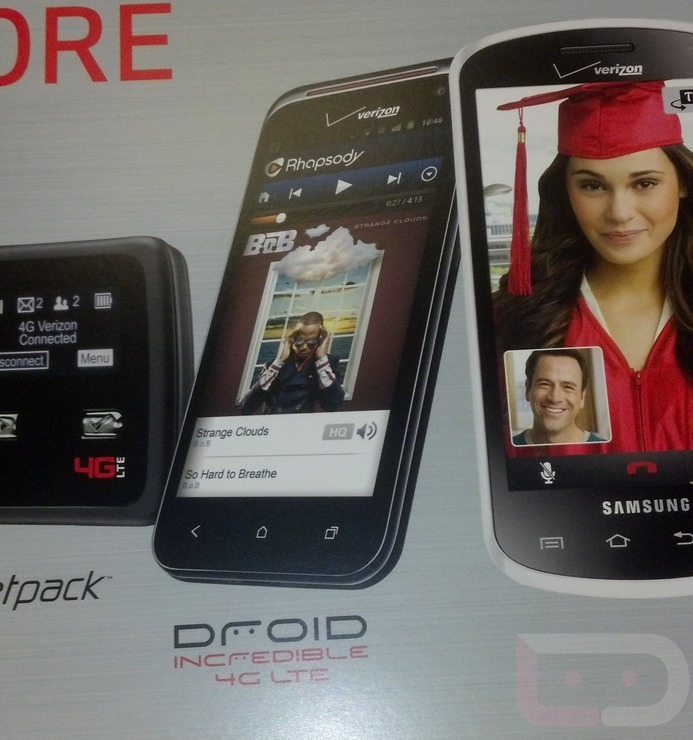 Some Verizon stores received signage for the yet-to-be-released DROID Incredible 4G LTE over the weekend. Unfortunately for those waiting to get their hands on the device, a release date did not accompany them. Our sources have told us that Big Red is targeting June 21 for the non-One series device, but until we hear something official publicly, there is still a chance that that could change. To bring everyone up to speed, the Incredible 4G LTE was announced by VZW back on May 7 at CTIA in New Orleans with an open-ended “coming weeks” release time frame. Here we are over a month later and the wireless giant remains silent on the matter. We aren’t exactly sure if this slow movement has something to do with the new Samsung Galaxy SIII launch which could happen before the end of June, or if there is a problem with the device. We know that Verizon is meticulous in its release schedules, so we have to assume that they have some reason for this madness. Signage arriving in stores is always a good sign though.